Take your career to new heights. You will not be 30,000 feet off the ground, but you can specialize as an airplane mechanic. Whether you choose to work on airplanes or helicopters, you are responsible for giving us wings. You must have a high school diploma to apply to a school that offers mechanic training and an aircraft technician specialization. Specialized classes are offered as part of a mechanic training program that focuses on aircraft maintenance, mechanics, and design. Airplane mechanics must receive training by an FAA-certified aviation maintenance tech school. An aircraft technician provides the maintenance, mechanical repairs, and inspections to aviation equipment to ensure that these vehicles operate safely. This position requires a great attention to detail. There is little room for error. You must be knowledgeable regarding industry safety standards and maintain the ability to troubleshoot when issues arise. 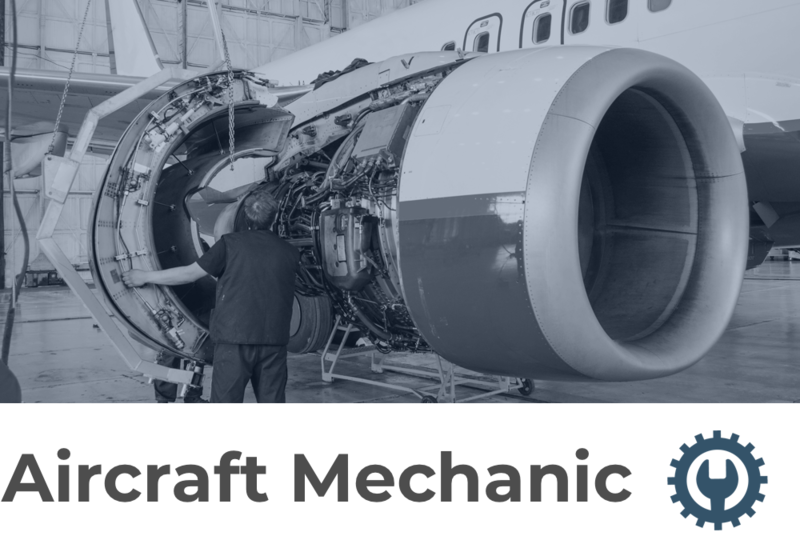 Aircraft mechanics make a median annual salary of $61K. Starting out, expect to earn around $36K. Once you're established, you might even make what the top 10 percent in the industry earn: more than $91K. The job outlook is positive, with a projected employment growth of 5 percent through 2026. Get on board, your career as an airplane mechanic is waiting for you. Apply today to receive free information from one of our aviation mechanic schools.